A lot of brands are ready to spend a bomb when it comes to advertising. However, spending a huge amount is not all when it comes to SEM campaign. There is much more to that. Below listed are the few points that should be taken into consideration for a campaign that works for your brand! Keywords are the building blocks of SEM. Let’s accept the fact that bids for keywords are sometimes expensive. So, when you create an ad campaign, try to select such keywords that are very, very relevant to your product / service that you are trying to promote. Understand which keywords generate most of the leads for your brand. Also, never forget to mention the negative keywords wisely while setting up the campaign. It will also reduce the waste spends. 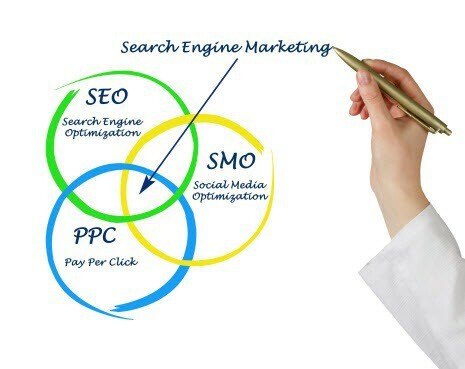 Making sure that your website is SEO friendly is one of the major requirements for a good SEM campaign. If the website lacks the SEO features, it will affect your ad campaign in a negative way. Make sure you keep on updating the website with the latest features to be relevant to your customers. Onpage SEO proves helpful here, and not just for the campaign, but also for the better page rankings overall. More clicks do not always mean more sale. To achieve that, you need to understand your TG very meticulously. Only then it will help in achieving your SEM goals. If your customer is another business, then the campaign needs to have a different strategy than targeting people. Geographic targeting also plays an important role. If your business is localised, create a campaign accordingly and you can still be competitive when compared to the bigger brands. Keeping a check on your campaign is essential. When you keep tracking your ad campaign, you know how it is going along. So you can keep on making necessary changes. Or stop it altogether if you see that it’s not getting the desired results. A check on analytics is very important! This includes visuals as well as an attention-grabbing & persuasive headline. Bidding doesn’t always help, especially when your competitors are much bigger than you. It involves a PPC amount which is really not affordable. This is where a well-written ad copy helps. Creative and enticing ad copy helps you stand out of the crowd. No doubt it’s the King considering the amount of traffic it gets, but there are other players too. Those are less expensive compared to Google. E.g. There’s Bing which is cheaper compared to Google. Though the quality of traffic is lower, you should still consider other search engines for your SEM campaign. When your ad arouses the curiosity in the minds of your customers, the landing page answers it. Make sure it’s the best one. Here are some pointers for the best landing page practices.